The NACTO Urban Bikeway Design Guide is based on the experience of the best cycling cities in the world. The designs in this document were developed by cities for cities, since unique urban streets require innovative solutions. Most of these treatments are not directly referenced in the current version of the AASHTO Guide to Bikeway Facilities, although they are virtually all (with two exceptions) permitted under the Manual on Uniform Traffic Control Devices (MUTCD). 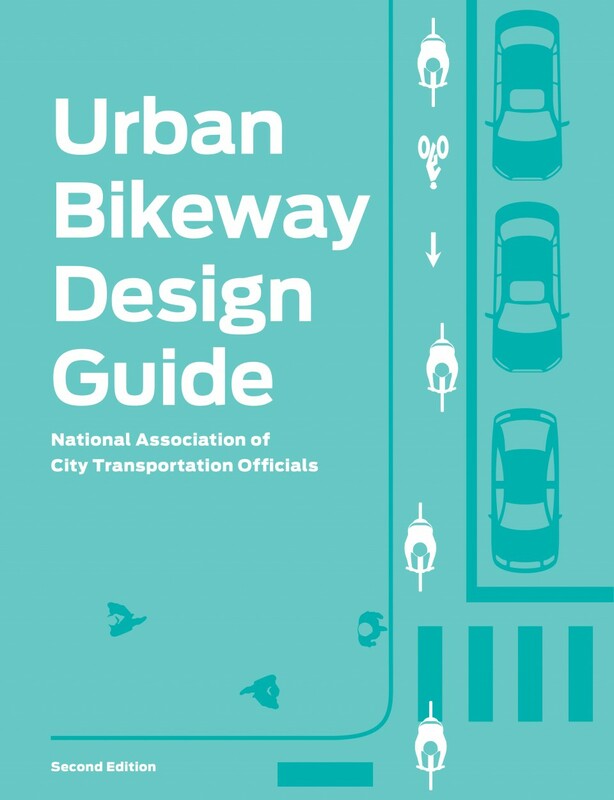 The Federal Highway Administration has posted information regarding MUTCD approval status of all of the bicycle related treatments in this guide and in August 2013 issued a memorandum officially supporting use of the document. All of the NACTO Urban Bikeway Design Guide treatments are in use internationally and in many cities around the US. To create the Guide, the authors have conducted an extensive worldwide literature search from design guidelines and real-life experience. They have worked closely with a panel of urban bikeway planning professionals from NACTO member cities, as well as traffic engineers, planners, and academics with deep experience in urban bikeway applications. Required: elements for which there is a strong consensus that the treatment cannot be implemented without. Recommended: elements for which there is a strong consensus of added value. It is important to note that many urban situations are complex; treatments must be tailored to the individual situation. Good engineering judgment based on deep knowledge of bicycle transportation should be a part of bikeway design. Decisions should be thoroughly documented. To assist with this, the NACTO Urban Bikeway Design Guide links to companion reference material and studies.